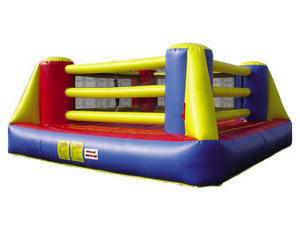 Be the Bouncy Boxing Champion of The World! The Bouncy Boxing Ring has a great realistic look. Boxing Gloves, Head Gear, and Neck Brace included.